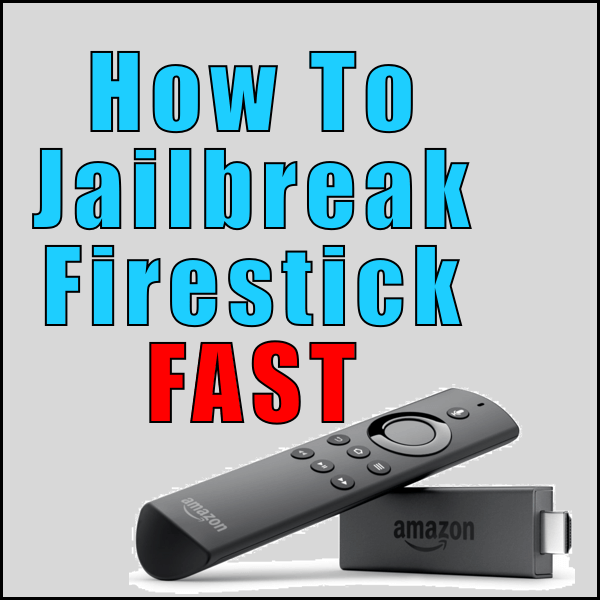 The guide below shows you how easy it is to jailbreak Firestick hardware from Amazon so that you can install third party applications quick and easily. All Amazon Fire TV devices come loaded with Amazon’s official app store, which contain apps and games for your device. In order to install third-party applications that aren’t approved by Amazon, you need to jailbreak your Firestick to give you access. Which Amazon Fire TV Hardware can be Jailbroken? The guide below applies to ALL Amazon Fire TV hardware. That means the Fire TV Stick, Dongle, and Cube can all be jailbroken and given extra access. The operating system loaded onto the Amazon Fire TV is universal across the entire lineup. This makes things super easy to complete no matter which hardware you have. The Amazon App Store is nice, but there are a ton of third party applications for your Fire TV that can be installed once you have extra options. Not sure where to begin? We have some examples of third party applications you can install once you jailbreak Firestick hardware at the bottom of this guide! Once you enable jailbreak on the Amazon Firestick, you will be able to see developer and advanced options that you didn’t have access to previous. This will ensure that if we have a guide for the Firestick you want to follow, your screen will look the same as ours when we describe it! The base Amazon operating system that is deployed with the Fire TV restricts you from access certain features and having the capability to customize your device. Jailbreak Firestick hardware to access the entire OS as it was meant to be. Toggle the Apps From Unknown Sources option to ON. You will see a popup that warns you of the risks from turning this option on. Click on Turn On to continue. Congratulations! You have just completed the jailbreak Firestick hardware guide and you have access to install third party applications on your Amazon Fire TV hardware. How to Install Kodi on Amazon Fire TV – This guide shows you how to install Kodi on the Amazon hardware the correct way as suggested by the Kodi foundation. Install Kodi and then check out our home page for more addons and configuration options to explore. How to install Downloader App – Downloader is a solid app for the Amazon Fire TV to check out after you jailbreak Firestick hardware. Amazon hardware doesn’t come with a web browser. However, Downloader allows you to surf the web, download links, and install applications from it. It is a highly recommended Amazon Fire TV app. How to Install Aptiode App Store – Aptoide is a custom third party app store that contains a ton of third party apps. Once you jailbreak Firestick hardware, you’ll want to get Aptoide which makes installing other applications easy. Our Aptoide guide contains a list of some of the apps you can install easily. Hopefully this helps you on your way to jailbreak Firestick today and install some nice third party applications to help you get the most out of the Amazon Fire.